Take your racing games to the next level with a feedback-focused racing wheel from Thrustmaster. The company’s TMX Force Feedback racing wheel is now available for the Xbox One and Windows 10 for $200. The TMX Force Feedback wheel is versatile even if you have not upgraded your OS to Windows 10, sporting compatibility with Windows Vista, Windows 7 and 8. 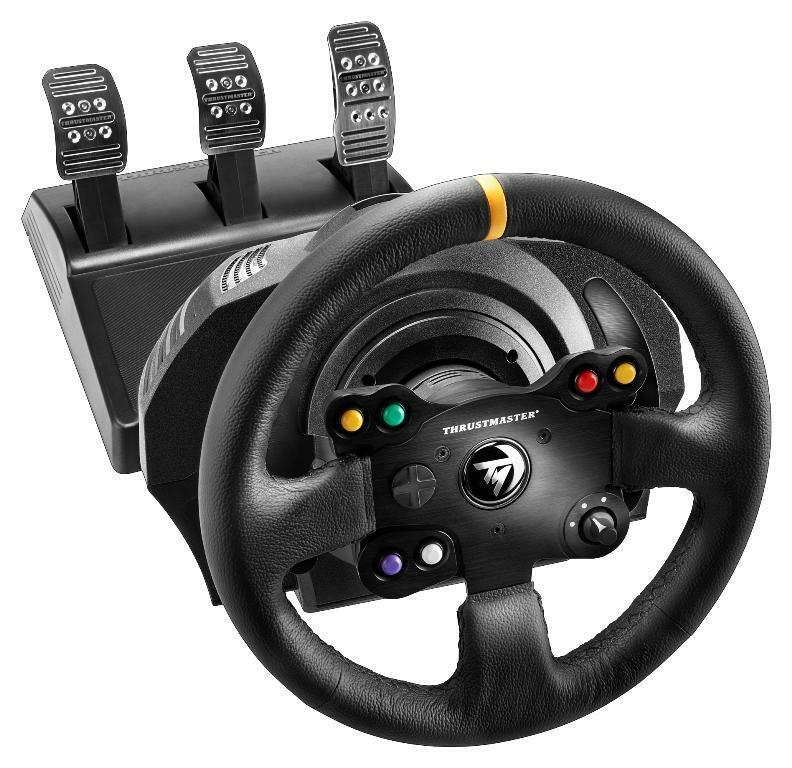 You can complete your driving gear with Thrustmaster’s pedals (T3PA and T3PA-Pro) and gear shifter (TH8A) too, although the TMX wheel can work on its own if you want. Equipped with a high-performance force feedback motor offering adjustable intensity and a rotation angle ranging from 270° to 900°, the TMX Force Feedback delivers a realistic and versatile racing experience. The controller’s versatility benefits all players, whether beginners or seasoned pilots, with all types of tracks, cars and races. The wheel is suitable for all players as its high-level performance can satisfy even the most demanding users as well as less experienced drivers. This device is a balanced combination of performance, robustness, and precision thanks to its mixed belt-pulley and gear system with metal ball-bearing axle. The optical sensor it contains provides 12-bit resolution, equalling extreme precision and delivering highly realistic racing sensations. The racing wheel is compatible with all mounts, whether they be desks, tables or cockpits thanks to its robust and adjustable attachment system. The wheel comes with a Xbox One-certified embedded software so that the controller is automatically recognized by the video game console. This feature ensures full compatibility with the menus in all racing games. The racing wheel is 11-inches round with rubber-coated wheel grips to offer perfect comfort. The two wheel-mounted sequential paddle shifters, the 12 action buttons and the directional pad are within easy reach thanks to excellent ergonomics. This awesome product will be available for purchase in May.